Alameda Racism, Charter School Politics, or Something Else? The new school board majority changed its bylaws and blocked a Black board member who supports charter schools from becoming president. School board member Gray Harris maintained that Mia Bonta, who was the top vote-getter in the Nov. 6 election and is the spouse of state Assemblymember Rob Bonta, D-Alameda, is better qualified for the job of board president. When the Alameda school board convenes for its first meeting of 2019 this week, it may once again be wracked with tension over allegations of racism. At its last meeting on Dec. 13, the board changed its bylaws in order to elect new school board member Mia Bonta as board president, bypassing African-American board member Ardella Dailey for the position even though, as vice president, Dailey was next in line for the post. The decision by the board majority drew outrage and raised serious questions about whether the board will be able to work cooperatively this year. Since fall 2015, the presidency of the school board had rotated in a succession from board clerk, vice president, to president. Under those rules, Bonta would have been appointed as clerk and automatically become president in 2021. But following the results of the November election, the new board majority changed its rules at the Dec. 13 meeting, preempting trustee Dailey from becoming president and clearing the way for Bonta. A dozen supporters of Dailey — who, in 2016, became the first African-American woman elected to the Alameda school board — strongly criticized the bylaw change and accused school board members Gray Harris, then board president, and Gary Lym, former president, of being hypocritical and motivated by power and race. But Harris maintained that Bonta, who was the top vote-getter in the Nov. 6 election and is the spouse of state Assemblymember Rob Bonta, D-Alameda, is better qualified for the job and raised concerns about Dailey’s support for charter schools and other issues. The move by the new board majority also highlighted key family connections and alliances that influence the Island’s school board — and city — politics. The rule change drew the ire of Vickie Smith and Espinola Johnson, two longtime Island residents and retirees of the school district who recalled past experiences of racism in Alameda. “We’ve been fighting for civil rights for many years,” said Smith, who protested with other Black Student Union members for Black Studies classes and to hire teachers of color at Encinal High School. Smith worked with Dailey and others to challenge racism in the school district in the 1990s. “It’s Ardella’s turn to be school board president. No one should try to take that away from her. We should not have to fight a lifetime of inequality just because we are Black.” Johnson’s mother was Elector Littlejohn, a civil rights activist for whom Littlejohn Park was renamed in 1993. Dailey was AUSD’s first Black superintendent from 2005-2008. Other Dailey supporters included former AUSD administrator Carole Robie, who questioned the timing and the rationale for the rule change, noting that both Lym and Harris had benefited from the rotation policy: Harris was president in 2018 and Lym was president the year before. Changing the policy before a “qualified African-American woman” takes office “will amount to blatant racism against a Black woman,” Robie said. Another Dailey supporter noted that the school district is predominantly white and Asian, 29 and 23 percent respectively. Harris is white and Lym is Asian. Alameda is 45 percent white and 31 percent Asian, according to the 2010 census. Harris denied the bylaw revision was racially motivated and expressed concerns about Dailey’s leadership skills and ability to be an effective board president. According to Harris, Dailey had been unresponsive to calls and emails from board members and staff. She also expressed concerns about Dailey’s position on the job performance of Superintendent Sean McPhetridge, and of Dailey’s support of charter schools when the district has potential litigation with one of the Island’s charter schools on the horizon. “I really think it is unfortunate that this has become an issue about race, because I haven’t seen anybody on this board do anything that can be construed as racist,” Harris said, adding there should be a “democratic process” to elect the board president rather than have it rotate from board member to board member. Lym agreed, noting that the timing of the policy revision was because the board holds its annual organizational meeting in December. State law requires boards to select officers annually each year — no matter what process the board chooses. “I think it should be a democratic process,” Lym said. Williams, who would have ascended to board president in 2020 under the old bylaws, also objected to the policy change. She called Harris and Lym self-serving, because both previously voted to rotate. “We cannot talk about equity or social justice and make changes tonight that would take Dailey out of her turn to serve as president,” Williams said. Bonta supported the revision, she said, after learning the origins of the “bad policy.” The policy was implemented after former school board member (and recent outgoing mayor) Trish Spencer complained that her colleagues never backed her for board president. Bonta also echoed Harris’ concerns about Dailey’s support for charter schools. After listening to all the other board members speak, Dailey first appeared to address Bonta. “I hate to see us pitted against each other,” she said. Harris responded that she did not intend to offend Dailey and had attempted to contact her. Bonta responded to Dailey’s concern about women of color being pitted against each other. “That’s not my experience,” while noting her own Afro-Latina identity as a woman of Puerto Rican heritage. The board then voted, 3-2, to change the policy, with Dailey and Williams opposed. With the new policy in place, Harris then moved to nominate Bonta as board president. It’s unclear if the apparent coordinated election of Bonta violated the Brown Act, the state’s open meeting law, which prohibits a series of private meetings to reach public decisions. While it seems clear that board members Harris and Lym spoke prior to the meeting, if they had also communicated with Bonta, it would not have violated the state’s open government law’s ban on a majority of board members meeting in secret because Bonta was not yet a board member. The new majority approved Bonta’s nomination, 3-2, with Dailey and Williams in opposition again. Bonta then moved to nominate Dailey for vice president, setting off a sequence of three members declining nominations for VP. Dailey said she appreciated the offer but was hesitant. “I don’t know how we’re going to work together. I’ve never been so frustrated in this district. At this point, how can I have faith and trust?” After a pause, Dailey declined. Bonta appealed to Dailey from other end of the table. “We can move the board forward with a partnership between you and I,” adding it would be an honor to work with her and a “signal” to the community. Harris then turned to nominate Lym, who declined. Harris nominated Williams, who also promptly declined, which resulted in applause from the audience. Bonta nominated Harris. Harris hesitantly accepted after the district’s lawyer said a VP was required by state law. The board approved Harris as VP and Lym as clerk, 3-2, with Dailey and Williams opposed. The role of the school board president is largely ceremonial. According to district bylaws, the president presides over meetings, signs official documents, works with superintendent on board agendas, makes sure other board members have information, and serves as a “governance spokesperson” for the district. Oakland, Berkeley, San Leandro, and Piedmont all elect their officers during the annual winter meetings rather than rotate them. With the Dec. 13 meeting being held at Island High School, instead of City Hall, video of the meeting was not available for days, feeding speculation on social media. Beyond the optics of appearing racially driven, the board majority’s decision to change its bylaws provides insight into the alliances of school board members and Alameda politics. The new board majority of Bonta, Harris, and Lym have strong support from unions. The local firefighters’ union, Local 689, an influential labor group on the Island, backed Bonta and Lym in the November election. Harris, a former teachers’ union president, is married to Local 689 president, Capt. Jeff Del Bono. Organized labor also opposes charter schools. 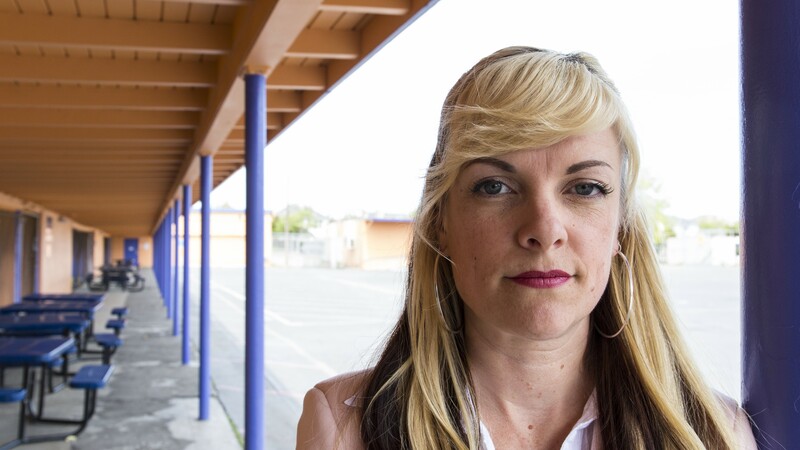 Notably, employees at two of Alameda’s charter schools unionized in 2014. When Dailey ran for office in 2016, her campaign priorities included “school choice.” After retiring from more than two decades in the school district as an administrator, including three as superintendent, Dailey joined the board of The Academy of Alameda in 2010, a West End charter school that replaced Chipman Middle School. Since 2013, more than 1,400 vehicles have been towed from one West End apartment complex by one company: PPI Towing. Over the years, the UC Berkeley Police Department has escaped scrutiny, despite evidence of racial profiling, biased policing, and a lack of oversight.